Explore the picturesque Jordan chateau with a walking tour and seated tasting by the fireplace, where you’ll sample Jordan wines, hors d’oeuvre pairings, our olive oil, winter treats and more. Experience a festive food and wine pairing at the Jordan Winery Chateau in Healdsburg. Your wine tour begins with a tasting of Jordan Cuvée by Champagne AR Lenoble, paired with an hors d’oeuvre featuring the Jordan Chef’s Reserve Caviar. 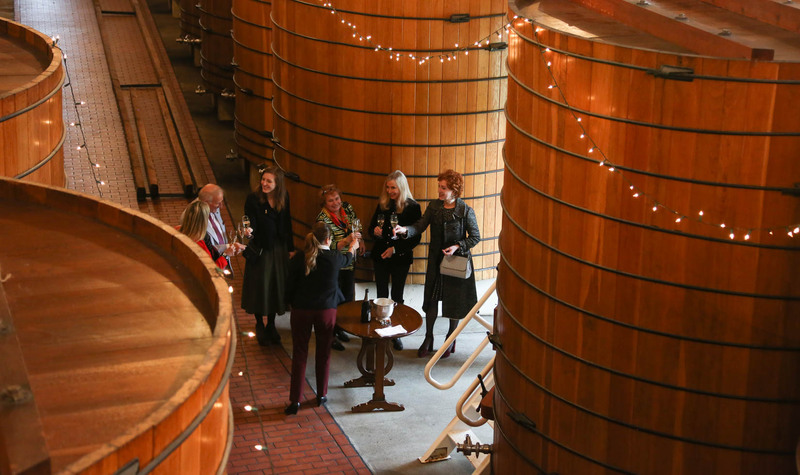 After a walking tour through the barrel room and Jordan's historic oak tanks, you'll enjoy a seated tasting by the Christmas tree, where you’ll sample Jordan’s current release Russian River Valley Chardonnay and Alexander Valley Cabernet Sauvignon with an hors d’oeuvre pairing. You’ll also be treated to an older vintage Cabernet Sauvignon, Jordan Estate Extra Virgin Olive Oil, artisan cheeses, homemade cookies and homemade ganache TCHO hot cocoa.